Over the last year, we have worked with Patrick, our board, and the full NSNO team to develop a clear set of priorities and a strategy to move student achievement forward into the next decade. Now, after a combined 18 years at NSNO, we both feel the time is right to move on to our next chapters. It has been our immense privilege to support one of the largest academic turnarounds of any school system in the country. From our earliest days, working with Sarah Usdin, Neerav Kingsland, and others to build NSNO, through our years leading the organization, this incredible experience has exceeded our wildest expectations. Thank you to the talented educators we worked with to launch or expand great schools. We saw you open your doors, graduate your first classes, and welcome back your first college-graduate alumni. We are grateful to have been part of the work that has helped thousands of students begin to reach their full potential. Thank you to our partners and the New Orleans education community. 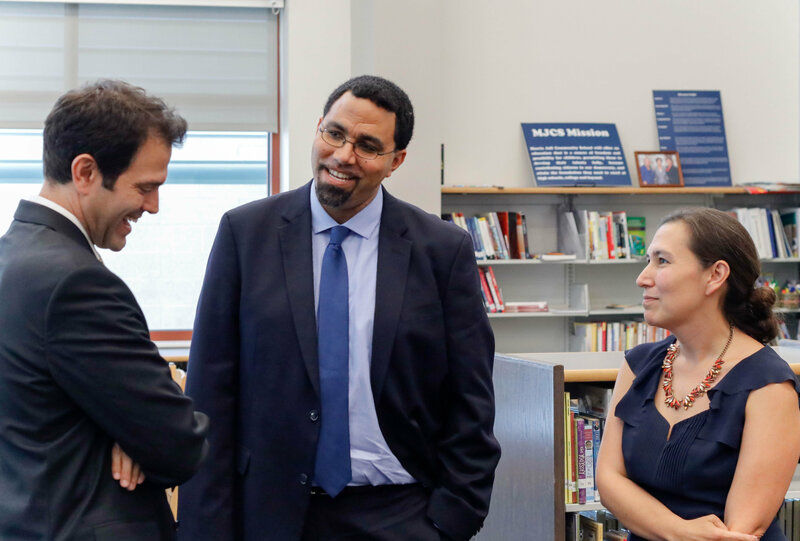 Working in partnership with you to bring more great teachers into our classrooms, advocate for quality, and create a system focused on academic excellence and equity has been so fulfilling. Thank you to the NSNO team and to our board. We have worked side by side with some the most thoughtful, smart, creative, and dedicated people in public education. You have inspired us with your commitment to our students and your drive to achieve our mission. We will miss working with you every day on behalf of the kids of this city. While we do not have anything specific to share about our next steps, we both remain deeply invested in NSNO and New Orleans’ success. The mission of NSNO—to deliver on the promise of excellent public schools for every child in the city—remains as important to our students and families today as it was when NSNO started. Patrick has been a tireless leader for the city, and the organization is poised to continue making progress toward that promise. We are excited for this next phase for NSNO, for New Orleans, and for each other.